Birth injuries such as brachial plexus injuries, which can be the result of medical negligence, shatter the dreams of parents who had the highest hopes for a perfectly healthy newborn baby. At the Yeboah Law Group, we understand the devastation that comes when you discover that your precious newborn’s injuries could have been prevented. Our experienced Fort Lauderdale birth injury attorneys are here to protect your rights to compensation for your child’s injuries and your losses. We hold the medical professionals who are responsible for your child’s injuries accountable for their actions. What is brachial plexus injury? The brachial plexus is the network of nerves located behind the clavicle bone and near the neck which make movement and sensation possible in the arms, hands, and fingers. Palsy means weakness. Brachial plexus palsy is often the result of a condition called shoulder dystocia, which occurs during a vaginal birth when the head of the baby has been delivered, but the shoulders become stuck behind the mother’s pubic bones. It is often in the mismanagement of the shoulder dystocia that the various types of brachial plexus injuries occur. Also called Erb’s or Klumpke’s palsy, brachial plexus injury is a condition where the infant’s arm is weak and unable to move because of an injury to the brachial plexus, and it is one of the most common forms of birth injury. The symptoms of brachial plexus injury will vary depending on the severity of the injury and which nerves suffered damage. If the injury was serious, the affected arm may be limp and appear paralyzed. The arm may feel floppy and weak and have no feeling. The arm might also appear to be stiff, and rotated inward with a bent wrist and extended fingers. In other cases, the hand can move while the arm remains stiff. Neurapraxia. This is a stretch injury that shocks but does not tear the nerve. Neuroma. This is a stretch injury that damages some of the nerve fibers and can result in scar tissue, which presses on the healthy nerve. Rupture. This is also a stretch injury that causes the nerve to be torn apart and will not heal on its own. The good news about brachial plexus injury is that the rate of recovery, according to the National Institutes of Health, is between 80 and 96%, if improvement begins in the first two weeks. Treatment for brachial plexus palsy includes early immobilization and active range of motion exercises, but the article also says that there is no proof that any intervention is effective. If the condition does not improve on its own in the first three months, there are surgical options. Could my child’s birth injury be the result of medical negligence? If your doctor had difficulty delivering your baby due to its large size, breech presentation or any other delivery complications, and your child suffered a birth injury, you may wish to consult with a birth injury attorney. At the Yeboah Law Group, we work with medical experts to review your charts and investigate what occurred in the delivery room in order to determine what might have caused your baby’s birth injury. If you decide to work with us, our Fort Lauderdale birth injury attorneys will demand justice on your behalf in the pursuit of compensation for your child’s injuries and for your emotional distress caused by a preventable medical mistake.  If you believe that it is time to hold those who caused your child’s birth injury accountable for your child’s pain, the medical bills, the future care and any other losses you have suffered, we are here to help. 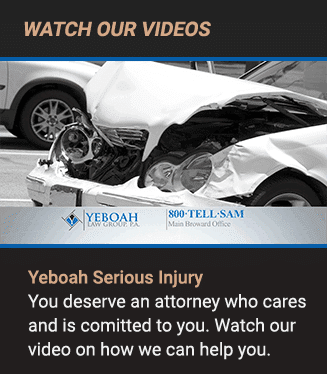 At the Yeboah Law Group, we know that it can be difficult to take your doctor to court, but we are here to protect your interests and to make sure that you recover all of the compensation you deserve when a doctor’s negligence caused your child’s injuries. We encourage you to call our Fort Lauderdale birth injury lawyers now at 1-800-TELL-SAM or complete our contact form for a no-cost consultation.